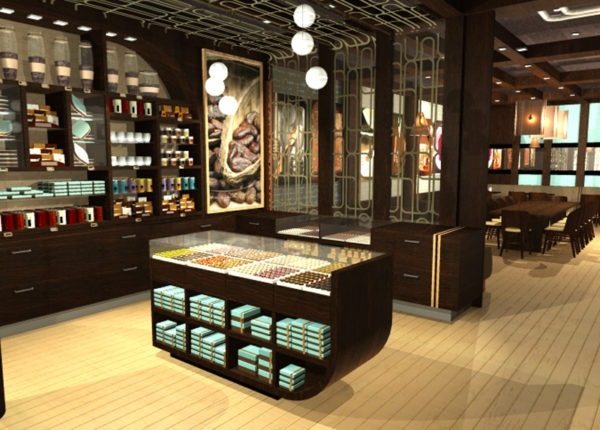 Bo & Bon Confiserie is a boutique chocolate and confectionary shop founded by a young French couple, and is based in New Jersey. 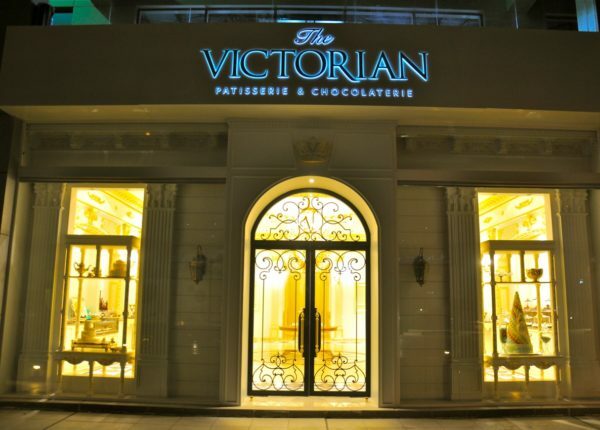 They make authentic French macaron, truffles, bon bons, hand-cut marshmallows, chocolate mendiants, nougat, baked goods and more. 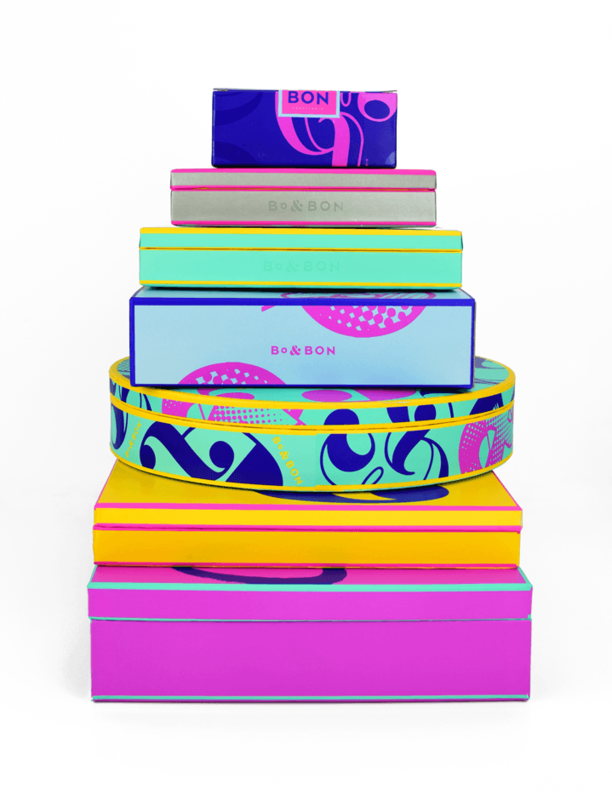 They sell in two retail locations (Lakewood, NJ and Brooklyn, NY), as well as via their website – bo-bon.com. They needed a brand refresh to revitalize their identity, while also addressing practical packaging challenges. 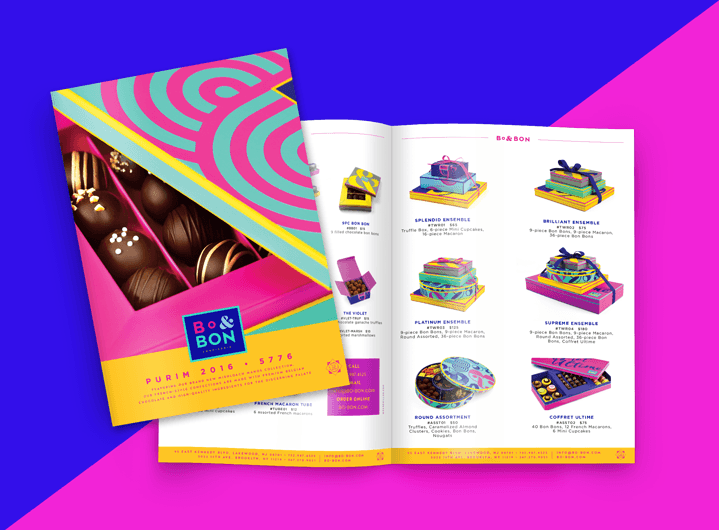 We provided exciting and vibrant branding for chocolate, but the rebrand essentially covered their entire line of diverse confectionary products. Part of the challenge was finding a way to package all of their products, without having too many different boxes in their inventory. 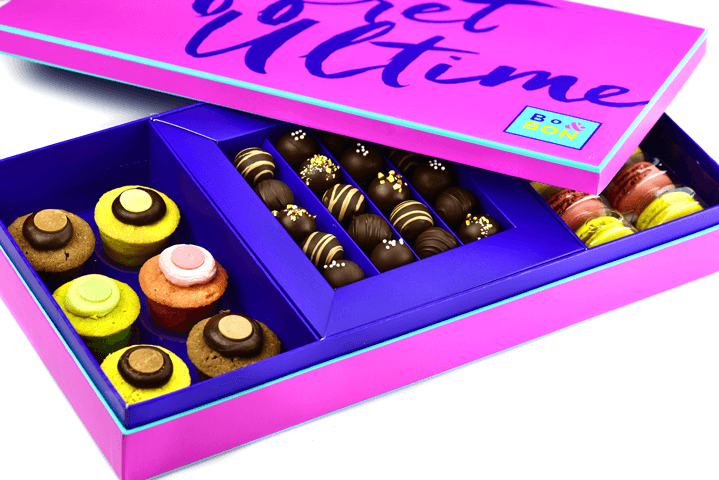 We worked with them to identify products by SRP targets and created a modular tray system and box sizes so that trays could be interchangeable between macaron and chocolate bon bons. 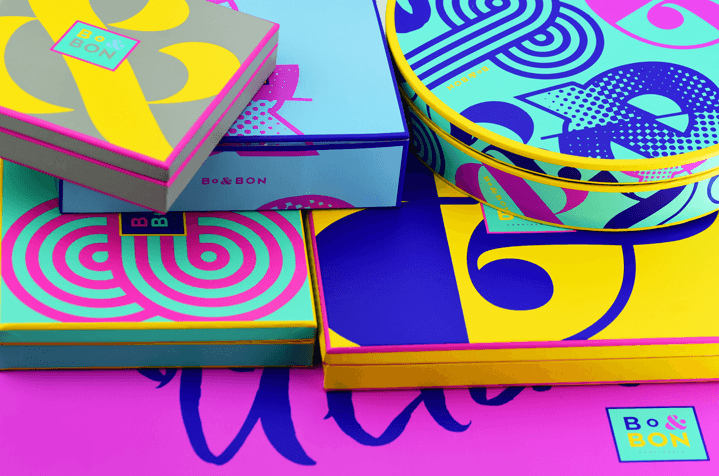 The visual identity took the form of a vibrant and multicolor palette that is at once diverse, yet disciplined. 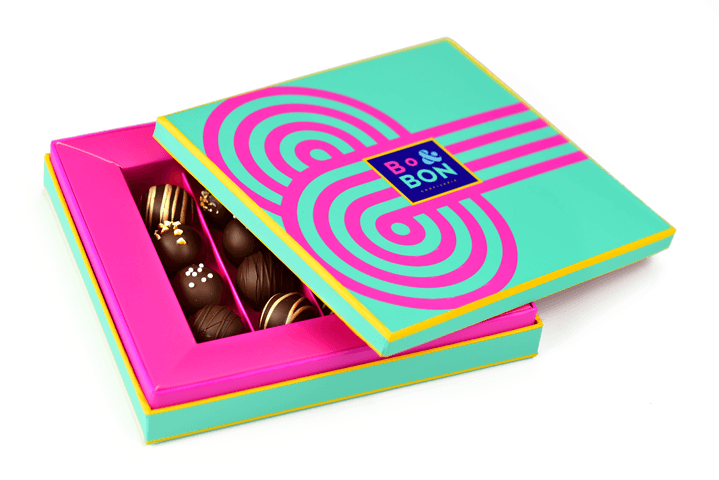 Limited-edition patterns were applied for some of the package formats like the truffle box and assortment gift boxes, to help keep the line interesting and unexpectedly fun. 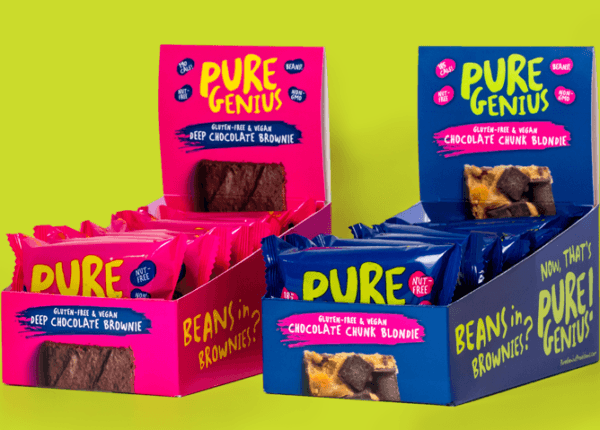 We provided them with not just a striking visual identity, but also packaging diagrams and structural design details of a highly specific and technical nature, that enabled them to produce their product line overseas within a rapid timeline (under 2 months), with virtually no errors. The end result was a visual identity that is impossible to ignore, and helped them expand their product line without over-investing in packaging materials.